Q. What is an Academic Journal? An academic journal is a periodical that publishes articles within a research discipline. Most academic journal articles are also peer reviewed, and sometimes the terms are used interchangably. 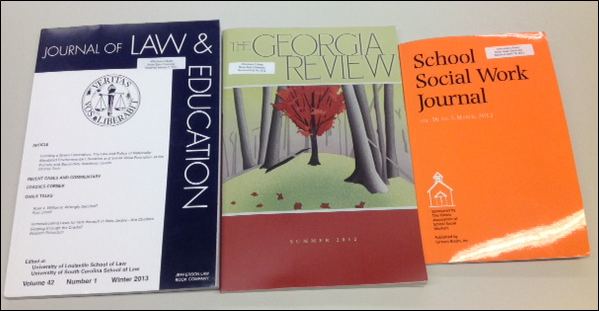 Another term you might hear is "scholarly journals," which means the same thing. The audience for academic journals is other researchers in the field. This includes university professors, students, and other scholars. Image credit: Elaine Watson, Reference and Instruction Librarian, Albertsons Library. 4 April 2013.